A few years back we saw a huge shift where people started watching TV shows and movies on their personal computers rather than waiting for them to premiere on TV channels and cinemas. Now we are going through a new shift, where the PC is being replaced by smartphones and tablets. For the Indian TV lover, Sony Entertainment has the Sony LIV app which is a video-on-demand service where you can watch your favourite TV shows like Jassi Jaisi Koi Nahin, Aahat, CID, Bade Acche Lagte Hain, Taarak Mehta ka Ooltah Chashmah, Crime Patrol, Office Office and more without any subscription charges. If you are into movies then you surely know IMDb. 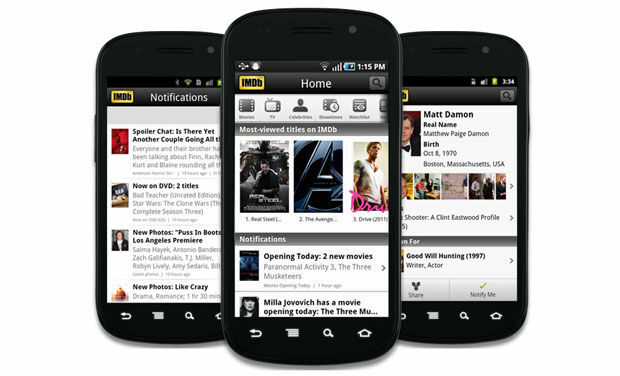 The official app for IMDb gives you real-time rating and trailers from all the latest movies and TV shows. The app also has user and critic reviews, quotes, trivia and a lot more to keep the movie buff in you entertained. 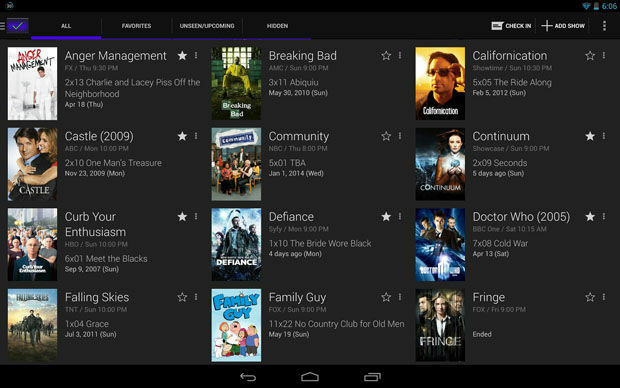 This is one of the best apps to keep track of your favourite TV shows. 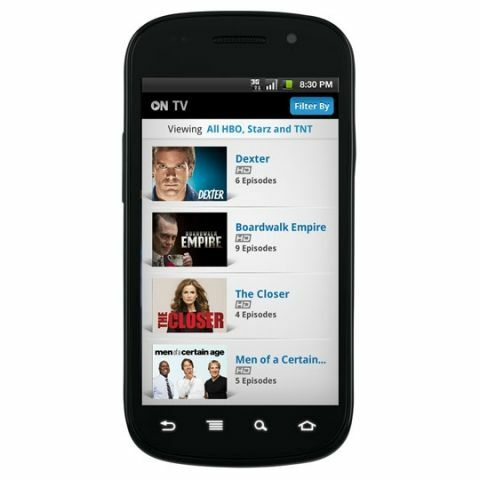 Just add the shows you like and get updates on upcoming episodes and the entire buzz around the particular TV show. The app also has a movies section which gives you dates of all the latest movie releases, and sorry no Bollywood flicks. This app lets you stream your favourite movies, TV shows and even music videos. You get a range of TV show categories including kids, educational, sports, videos sities, entertainment, health and fitness, news, lifestyle, business, auto, technology, how-to, and more. The best thing about this app is that when you start watching a video, it asks you if you want to view it on the device or stream directly onto a secondary display wirelessly (if your handset supports). If you own an Airtel Digital TV connection, then you are in for a treat. The official Airtel Digital TV app let’s you carry your Airtel Digital TV in your pocket and you can watch more than 150 live TV channels, past episodes of more than 13 channels on anytime TV and thousands of videos including movies on your phone or tablet. If you think we are missing something, do mention them in the comments section below.